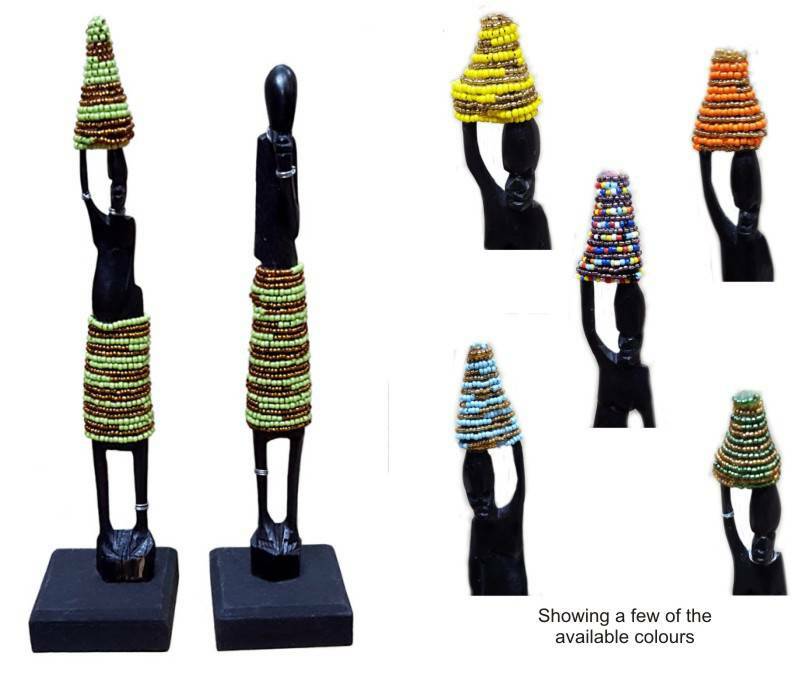 These wooden African figurines are hand carved by skilled crafter then decorated with beadwork. Each sculpture is made individually adding a special, unique quality. Sold as a male and female pair. 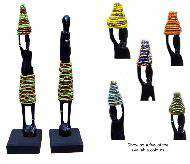 These are available in a variety of bright colours combination. Unless otherwise requested we will provide a mixture of colors.